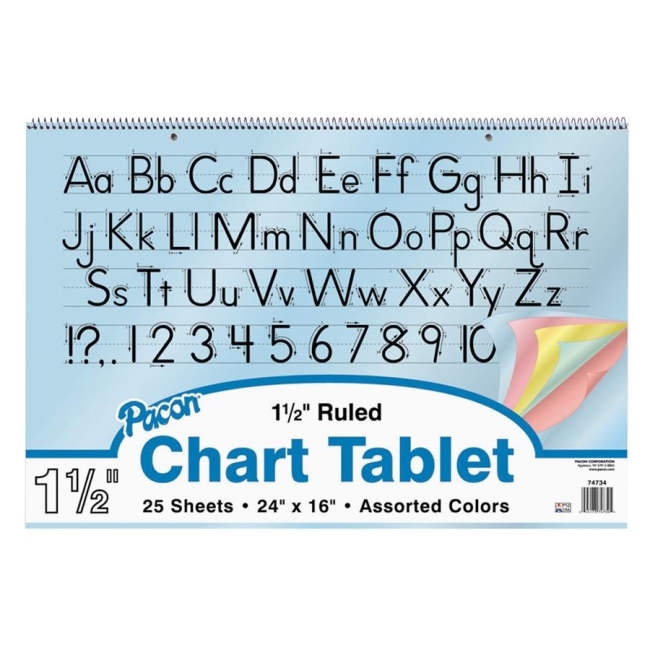 Chart Tablet with pastel-colored paper is 1 1/2" ruled on both sides. Ruled the long way. Two-hole punched for storage in binders. 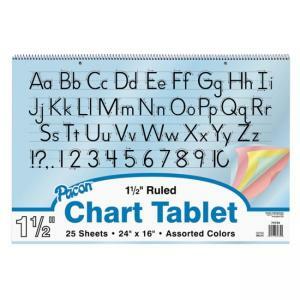 Contains assorted colors yellow, pink, salmon, blue and green. Spiralbound with stiff covers.